Whether you are looking to implement a new workplace wellbeing initiative or simply want a healthy experiential activity to reward and motivate your team, we offer a range of 1-2-1 healthy office-based treatments and group exercise classes to aid with stress-relief, tension reduction and to reinvigorate employees. 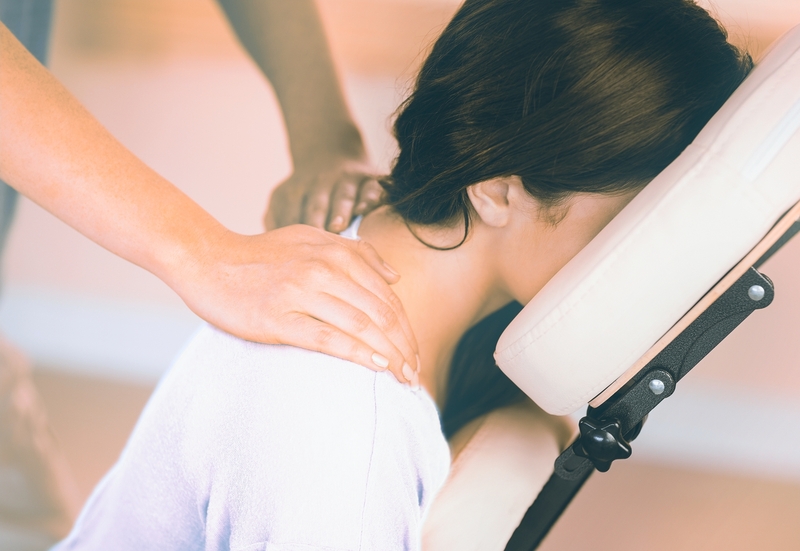 Literally, our most favourite treatment and starting at only £10 per person, our office massage is a 15-20 minute fully clothed stress-busting treatment focusing on the back, neck and shoulder areas to help relieve any tension on those stressed "work-at-desk-all-day" spots and leaving staff feeling relaxed yet refreshed. For more information on this treatment, please visit our office massage page. The ideal way to either kick-start the day or a perfect ending to a busy work day, we provide yoga classes in the workplace. 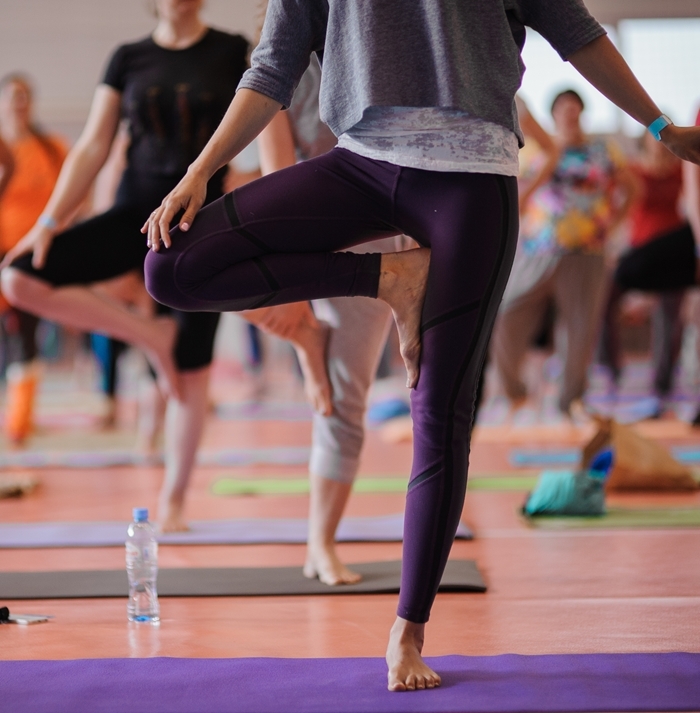 Taught by the best yoga teachers the UK has to offer, all classes have been designed to benefit employee health and wellbeing, improve the state of mind and lower stress levels through a series of flowing yoga poses. With endless hours spent slumped at a desk, working in an office can takes its toll on our bodies. We provide 45 minute pilate classes in your workplace and can also adapt to a desk-based pilates class should space be an issue. Through a series of pilates exercises our top notch Pilates teachers will help improve and maintain core strength and flexibility for the best possible postural health. Tai chi is an ancient exercise encompassing China’s deepest principles of health and movement, offering true harmony between body and mind. Our Tai Chi classes help calm the emotions, focus the mind, and strengthen the immune system. Practiced at a slow and even speed, tai chi promotes relaxation, straight posture and balance. Reflexology can tackle the underlying causes of stress not simply the symptoms. It is a highly effective pressure therapy that is based on the principle that all organs, glands, muscles, bones and body systems are represented by reflexes on the feet. When these reflex points are stimulated they connect with different areas around the body which assist the body’s self-healing processes, improve circulation, reduces tension and detoxes the body. Create a mobile beauty experience at your work as a treat or as a time saving initiative for staff to experience professional manicures, pedicures, facials, make overs, hair styling. Whether you want to help your team prepare for a big office party or simply want to show your gratitude for all their hard work our mobile treatments are a unique, affordable and fun way to do this.